Center for AIDS Health Disparities Research (CAHDR)—unraveling the biology of HIV/AIDS and seeking remedies for the populations most affected. The CAHDR has three major areas of focus: biology, behavioral, and community outreach. Researchers at the CAHDR study new mechanisms of HIV infections, pathogenesis, immunity, and development of novel means for intervention. Center for Women’s Health Research (CWHR)—addressing diseases unique to women, particularly those experienced at higher rates among minority populations. Current and future research studies at the CWHR are in the areas of reproductive health, cardiovascular disease, HIV/AIDS, breast cancer, and social and environmental factors in women’s health, as well as health care access and quality. Health Disparities Research Center of Excellence (HDRCOE)—seeks to eliminate health disparities, promote health equity, inform public policy, and transform public health practice through the advancement of team science and the application of computational methods, geographic information systems, and spatial temporal analysis through an exposome lens. The exposome considers the mechanisms and pathways through which the natural, built, social and policy environments affect personal health outcomes and population level disparities across space, time and the life course. RCMI — The RCMI Program in Health Disparities Research is designed to address health disparities through research in diseases that affect the community it serves, engagement of this community in its solutions, and creating technologies and research infrastructure to serve the institutional scientific community and its academic and community partners. This collaborative approach is critical because finding the right answers to address disparities in health equity involves all of us. 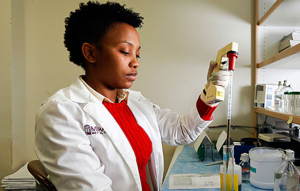 The Meharry Translational Research Center (MeTRC)—a research, training and collaborations infrastructure that serves as an incubator for Meharry scientists conducting translational research. The scientists in MeTRC are focused on advancing research and health care related to diseases and disorders that disproportionately impact the nation’s underrepresented minority populations. Center for Molecular and Behavioral Neuroscience—understanding the brain’s circuitry/chemistry as it relates to human behavior and thereby treat dementia, Parkinson’s, addictions, and other psycho-social disorders. The mission of the Center for Molecular and Behavioral Neuroscience is to conduct research in all phases—basic, translational, clinical, social, and behavioral—that will generate new knowledge and perhaps reduce health disparities in neurological disease and mental health. The Meharry Military Health Research Center (MMHRC)—a coalition of the best minds in research and data science who are working together to accelerate solutions for the serious challenges that our military and their families face on the field and at home. 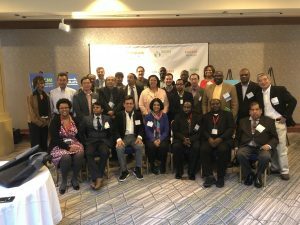 The Data Science Center—provides a platform for Meharry to lead in big data analysis, precision medicine, computation health sciences and population health with the long-term aim of addressing health equity. Meharry Sickle Cell Center— What happens 6,000 times a year at Meharry? Blood testing for sickle cell disease. Sickle cell disease is one of the earliest known blood disorders, one that affects millions of people throughout the world, and, in the U.S., an estimated 90,000 African Americans, according to the Centers for Disease Control. Meet the staff of the Sickle Cell Center and read about its services.